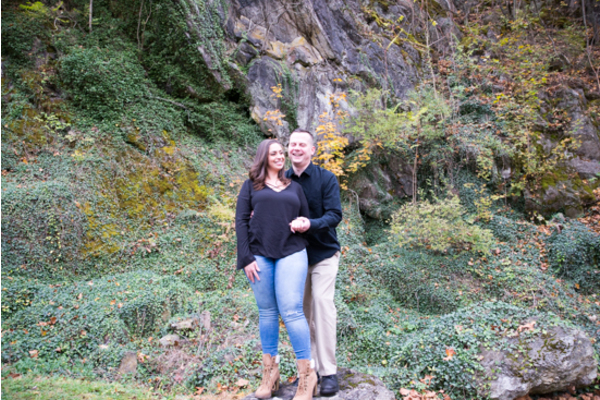 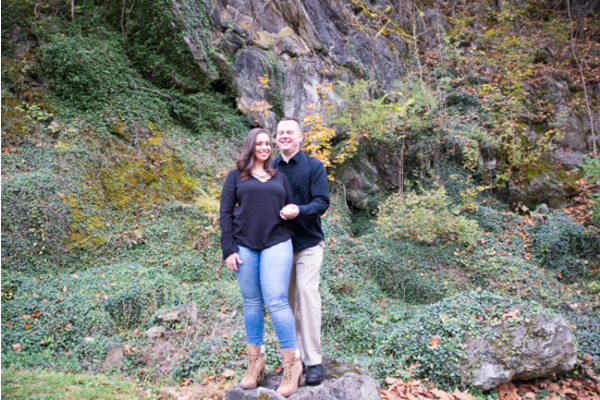 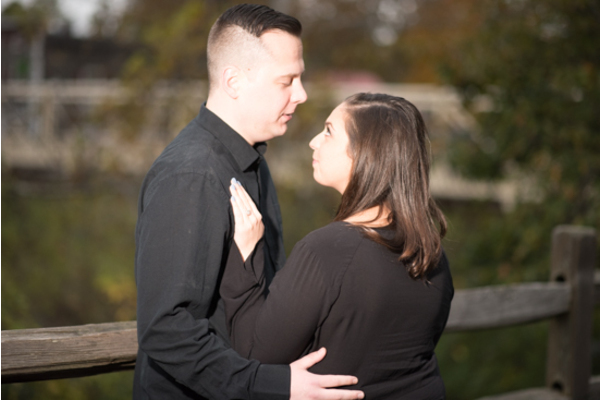 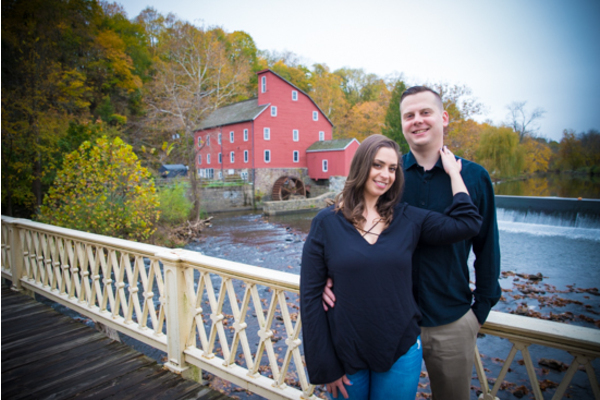 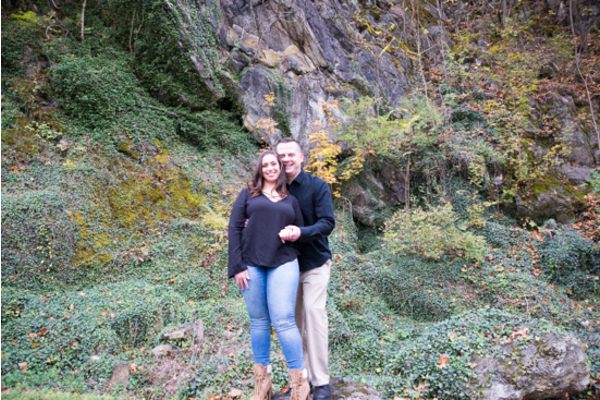 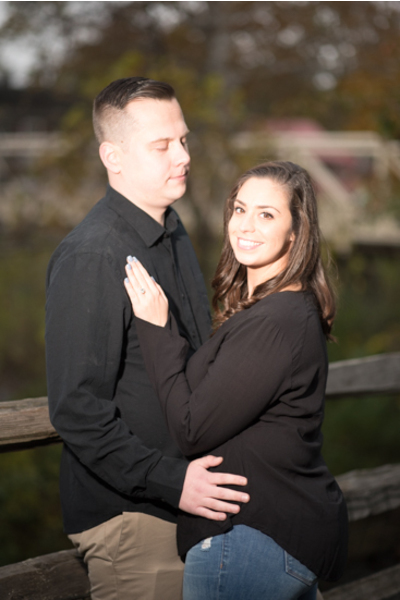 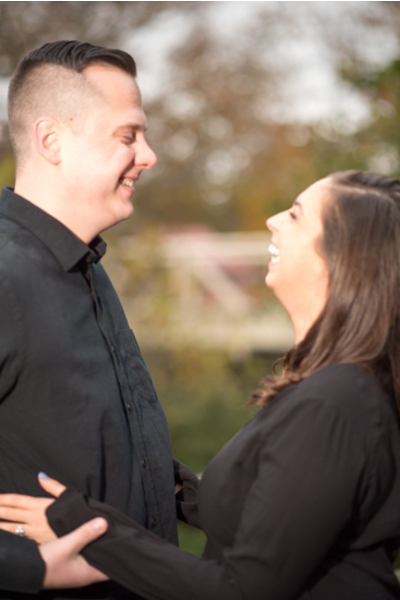 Congratulations to Victoria and Matt on their recent engagement! 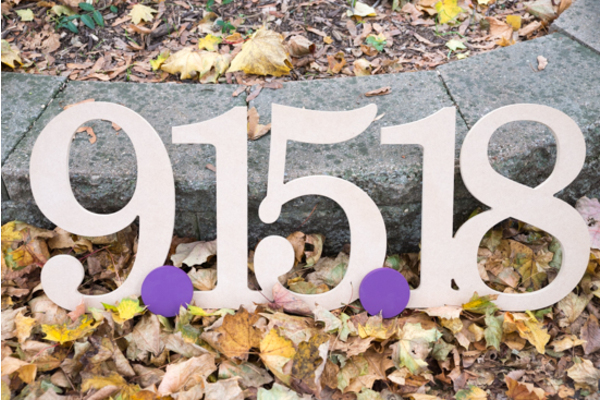 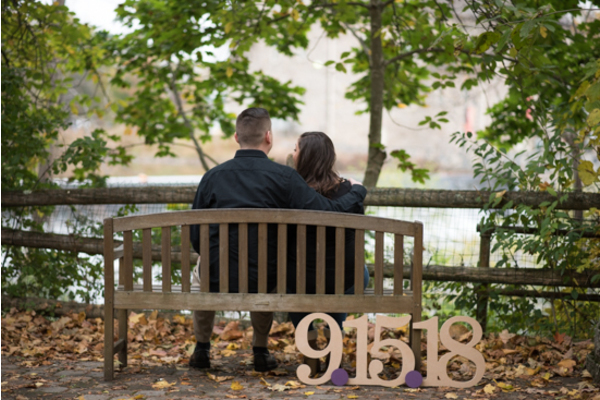 The date is set and planning is well on its way. 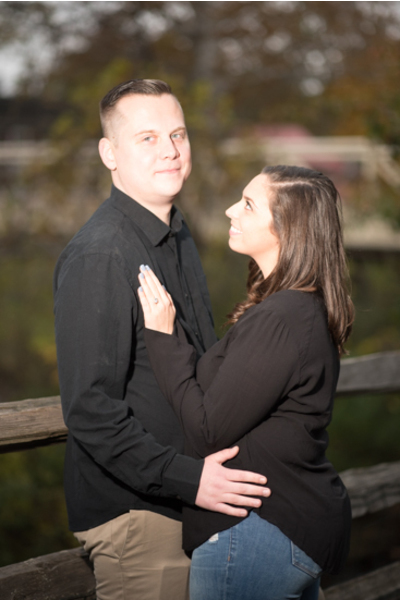 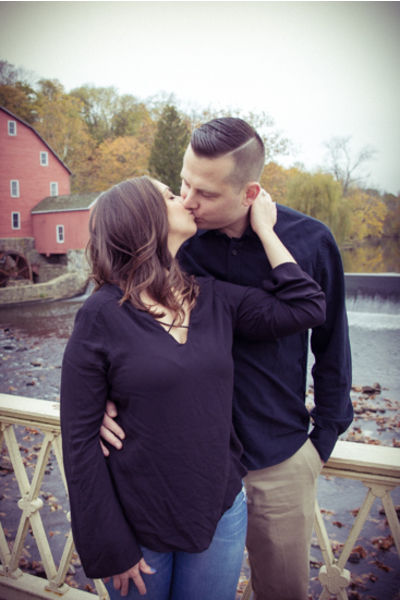 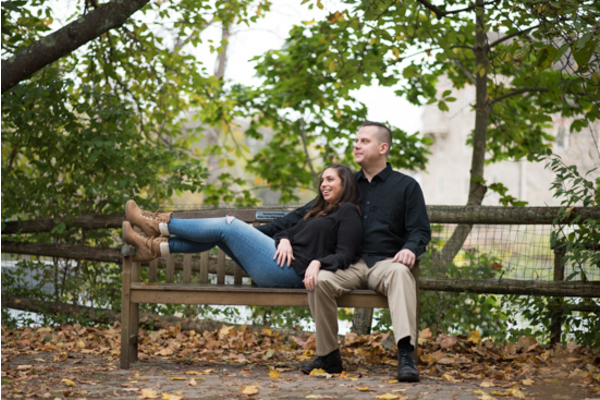 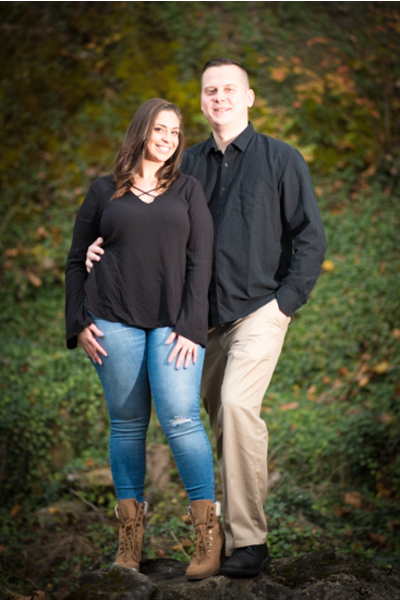 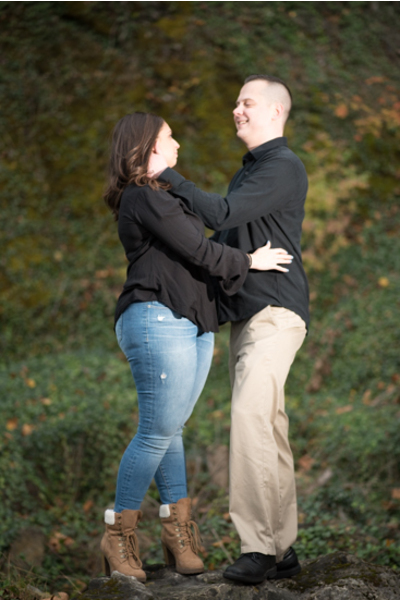 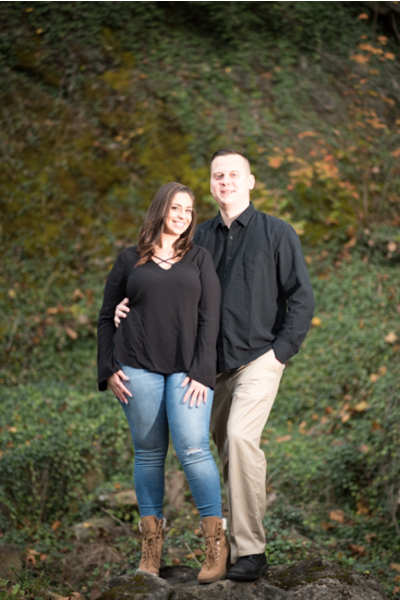 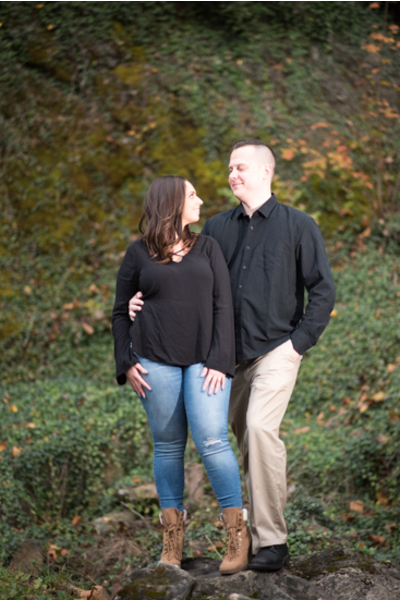 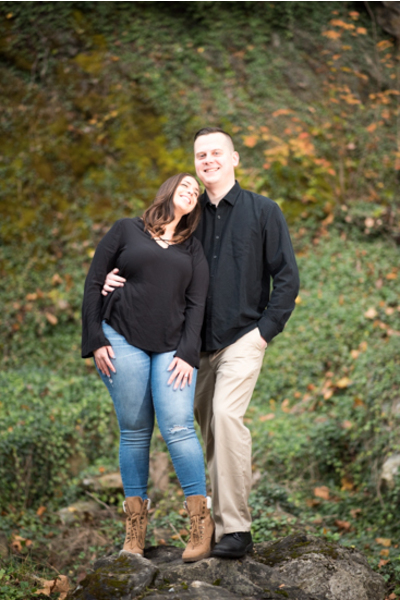 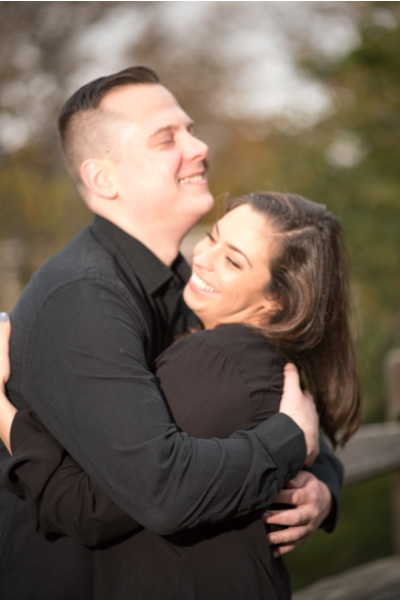 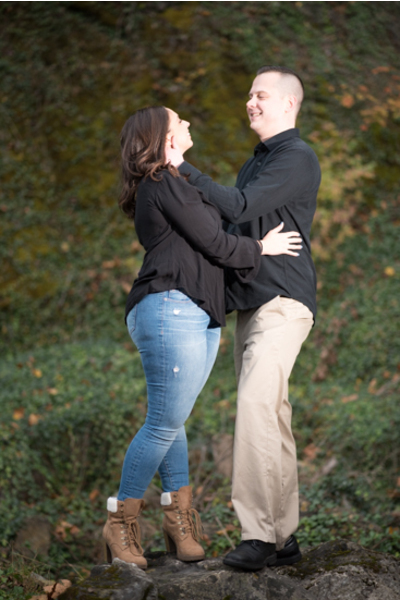 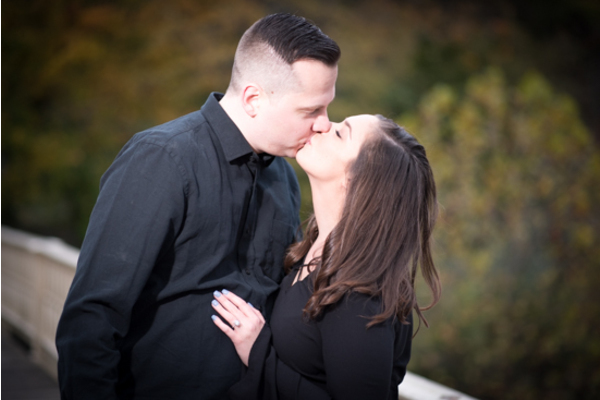 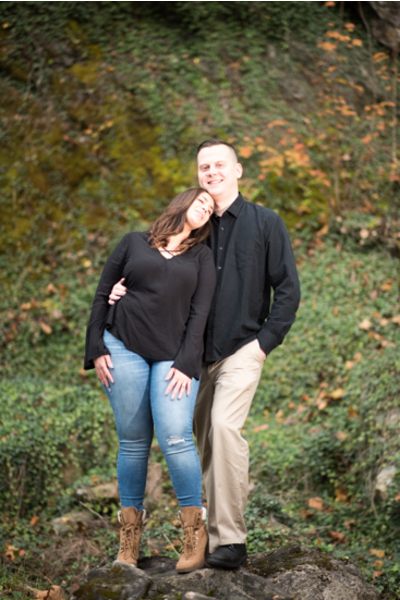 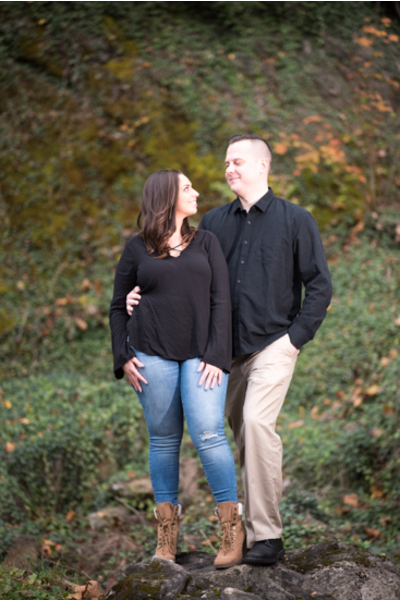 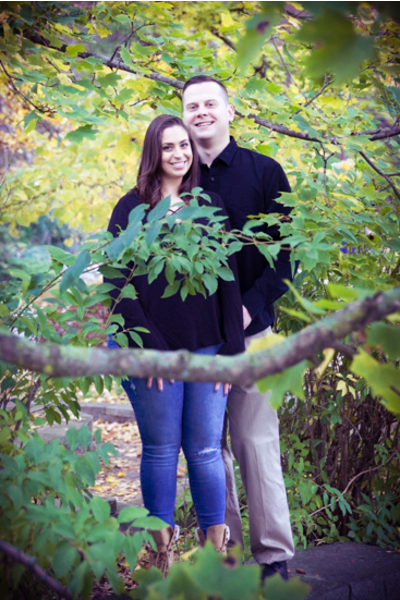 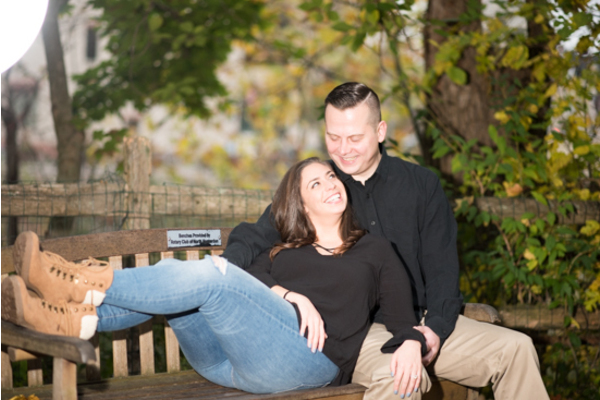 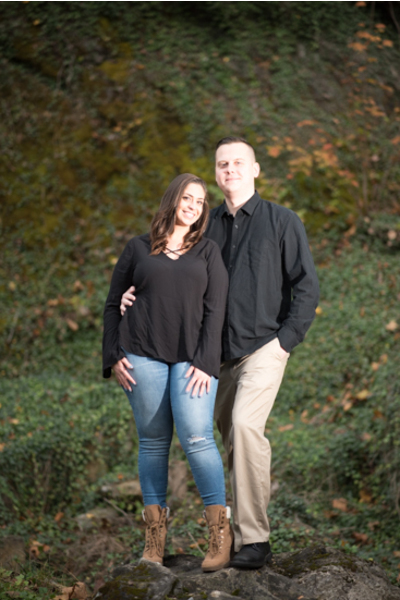 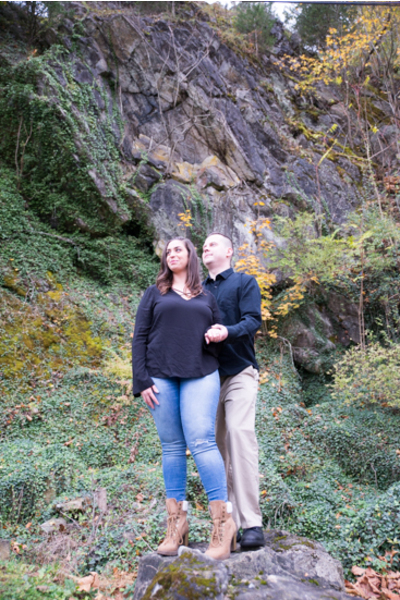 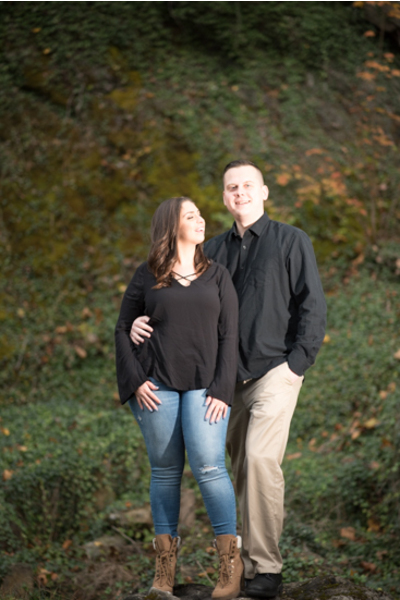 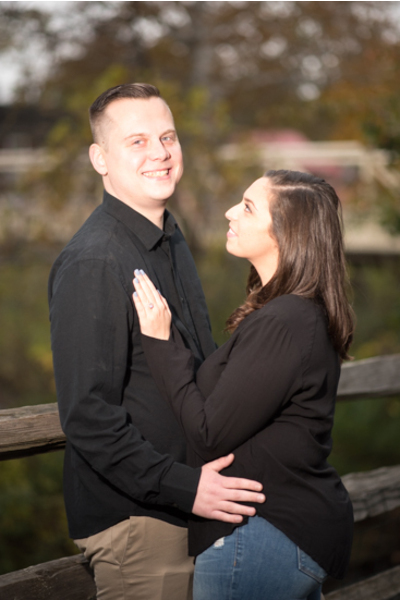 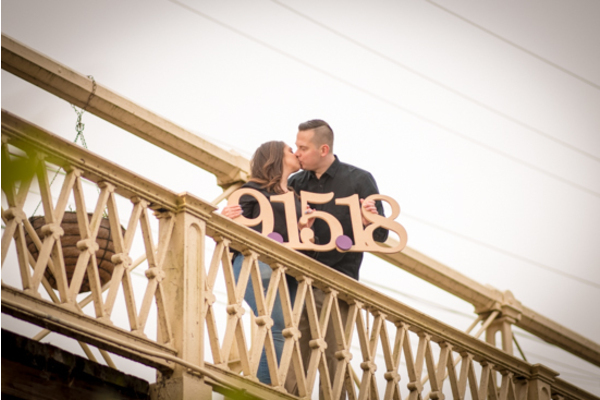 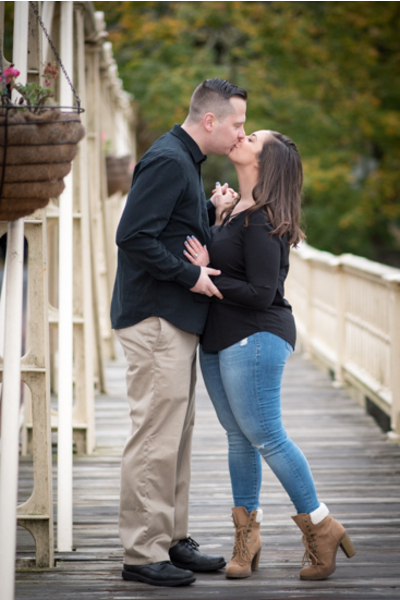 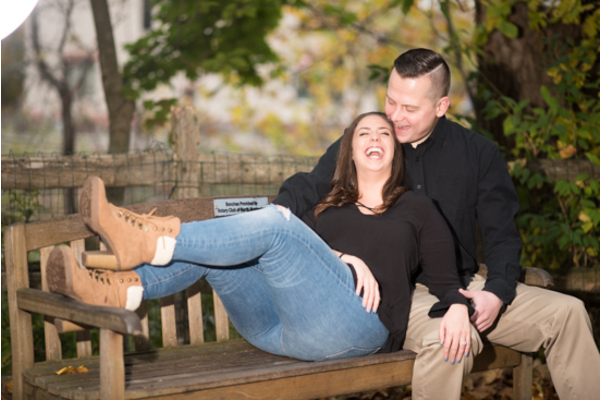 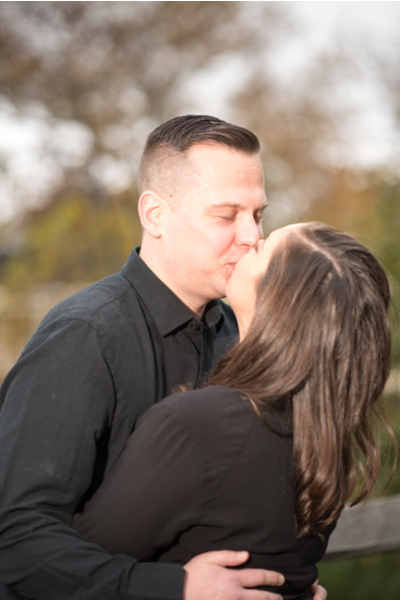 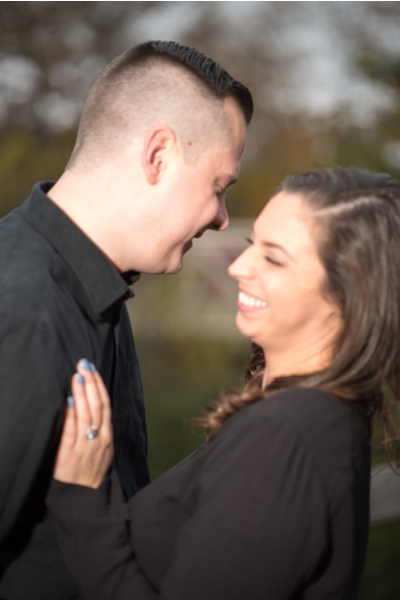 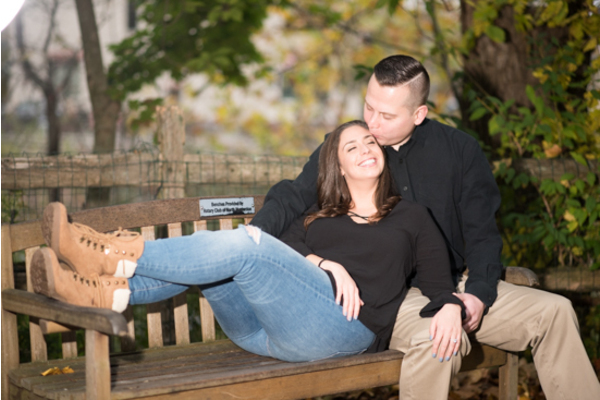 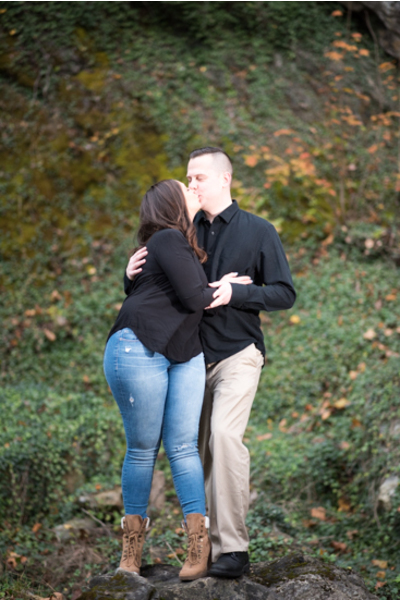 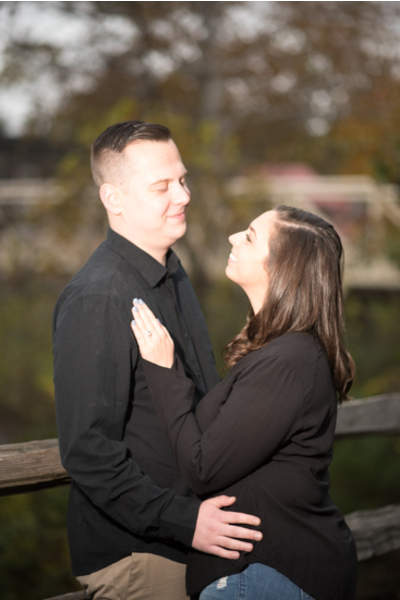 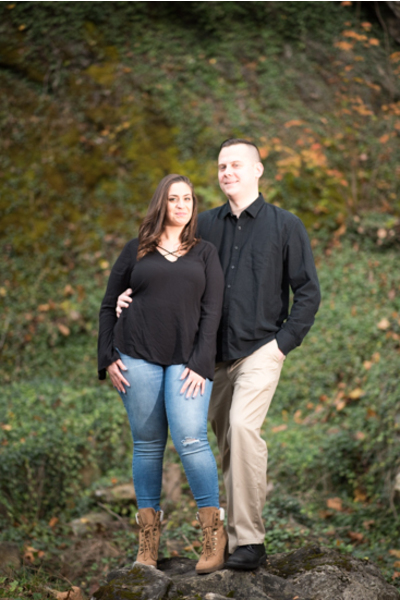 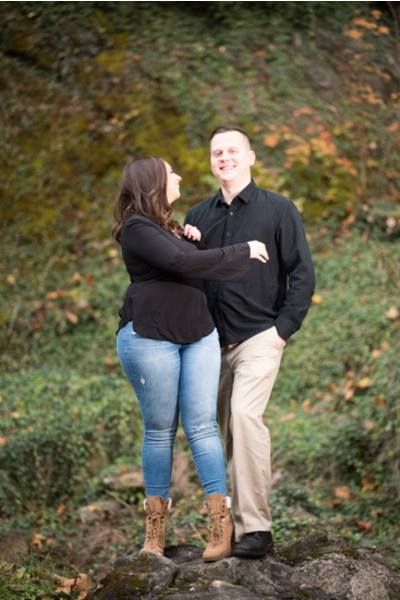 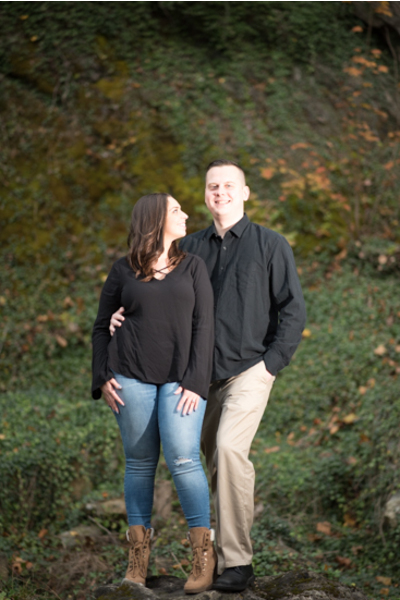 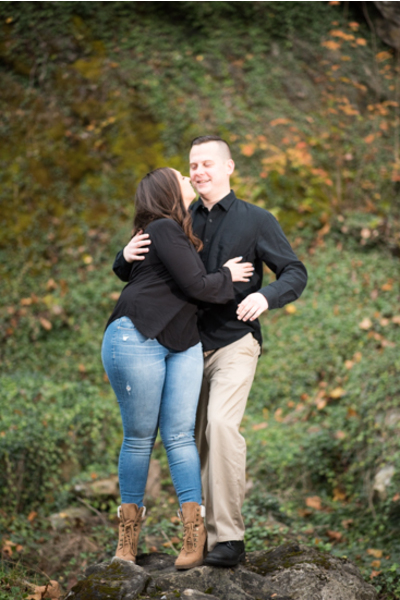 This lovely couple will become one on September 15, 2018! 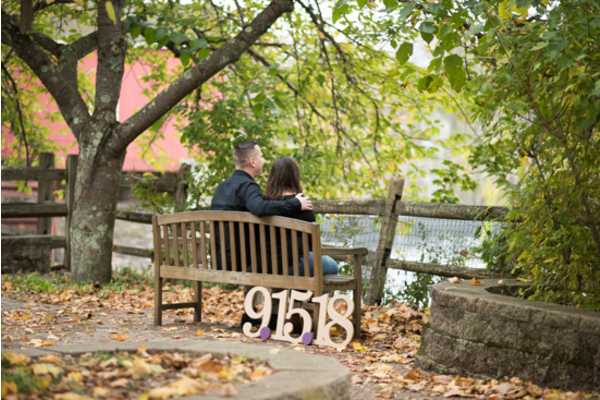 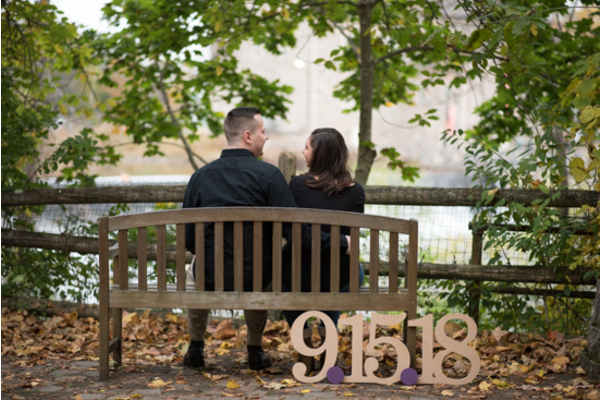 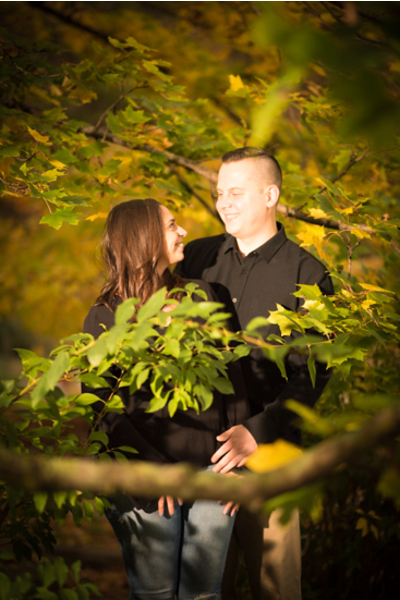 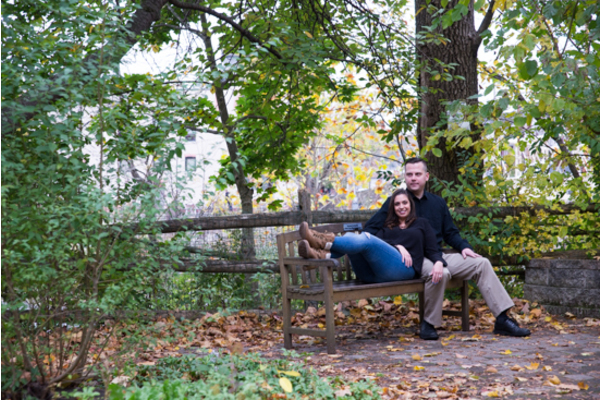 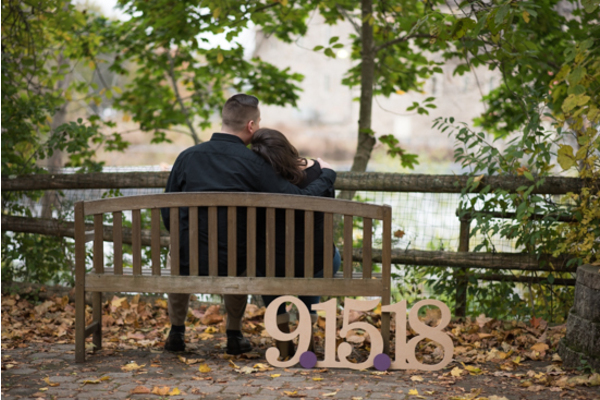 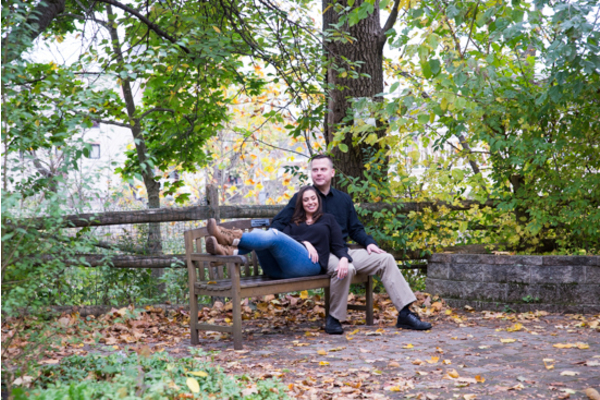 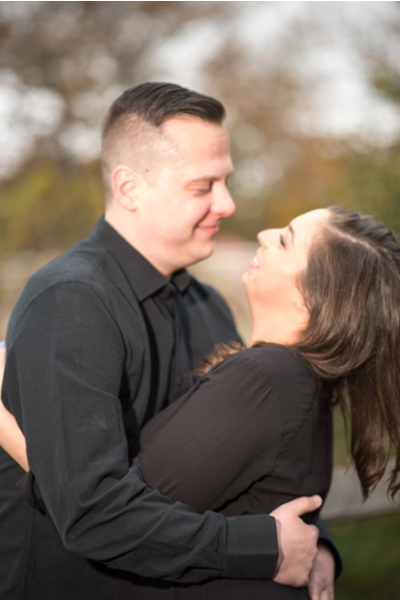 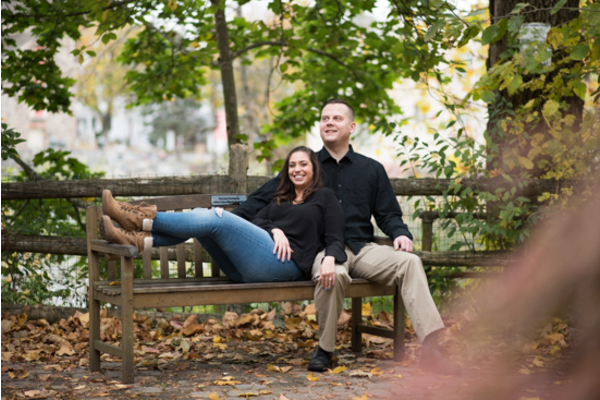 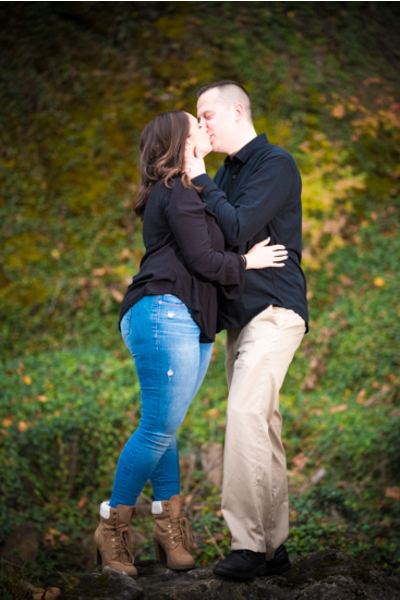 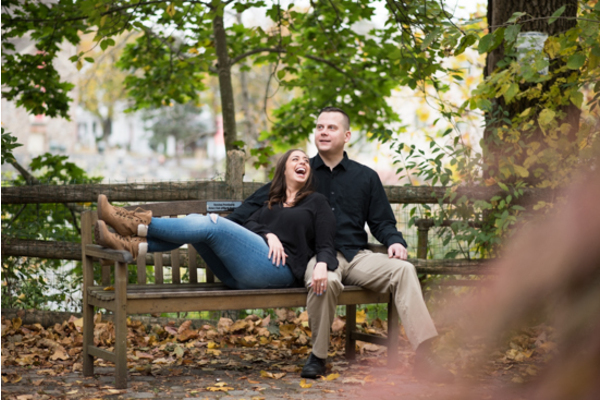 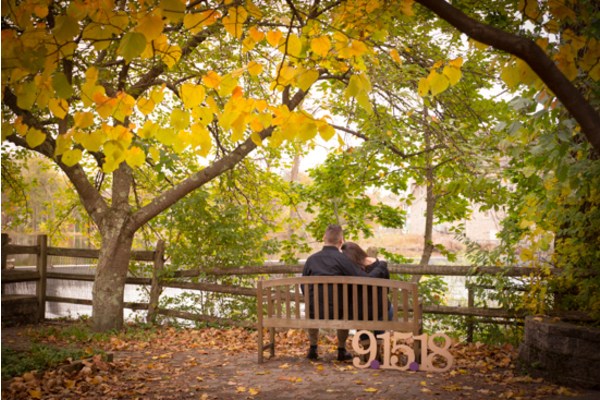 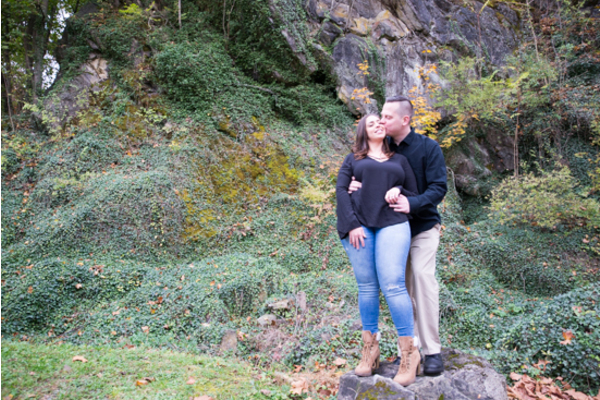 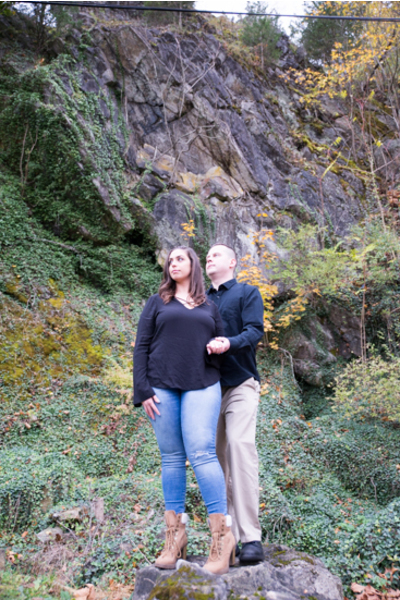 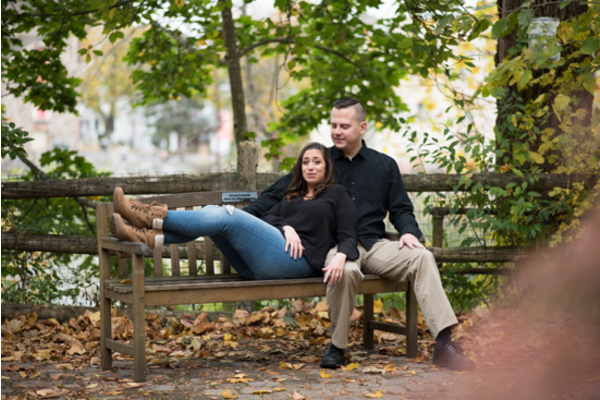 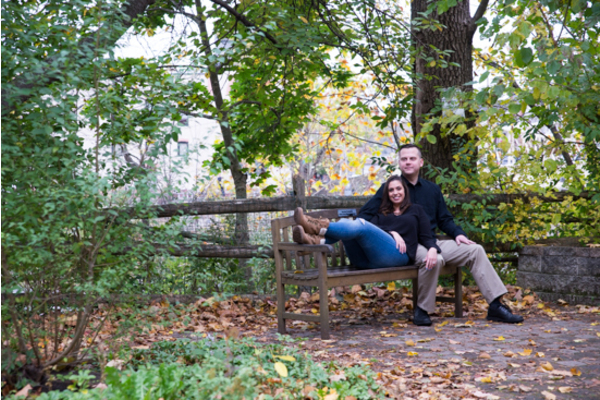 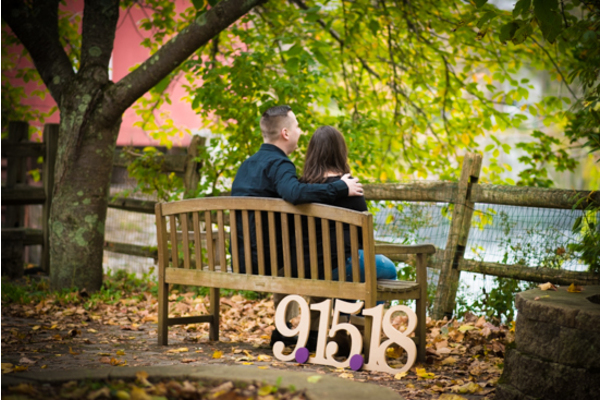 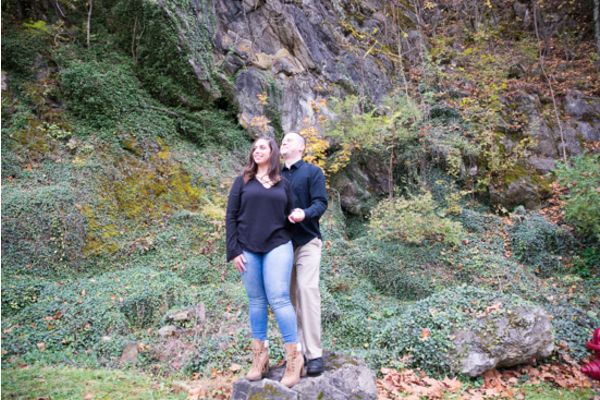 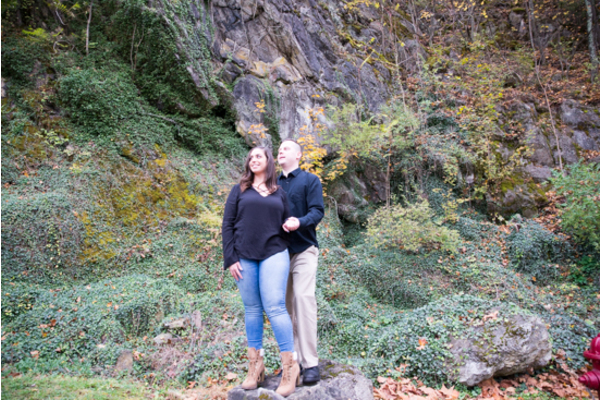 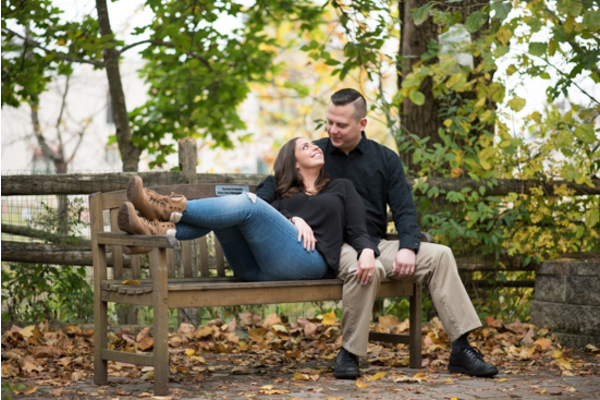 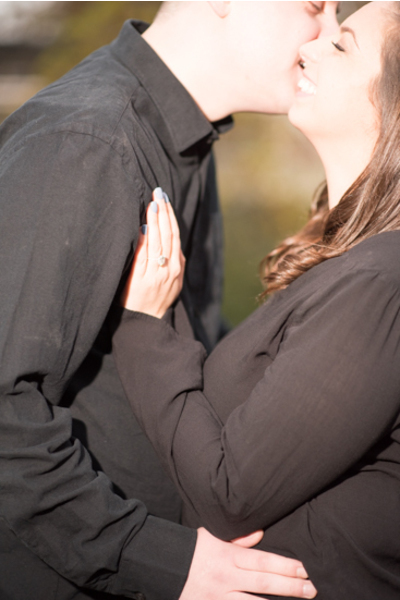 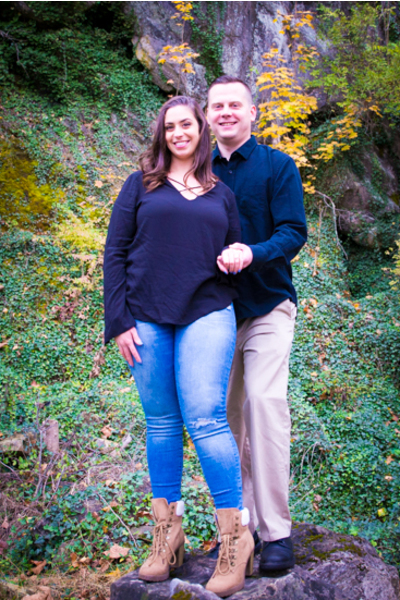 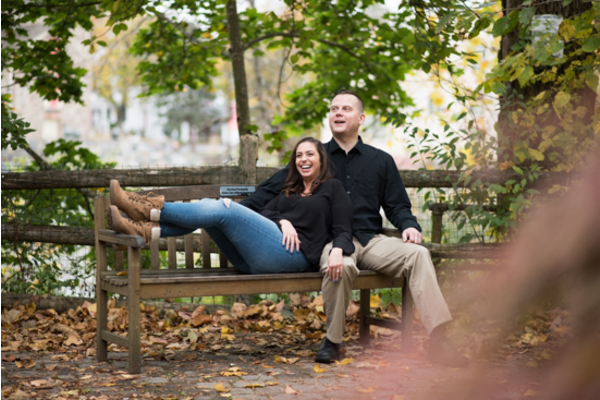 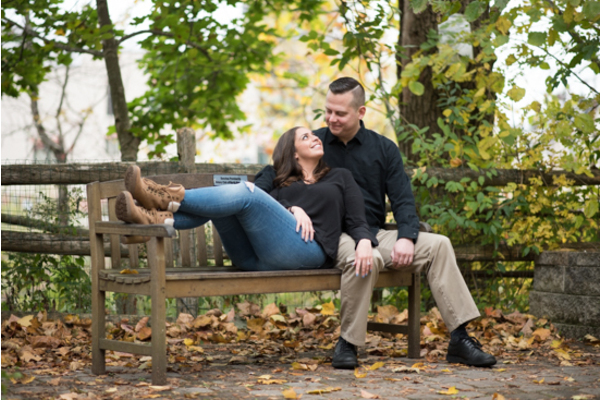 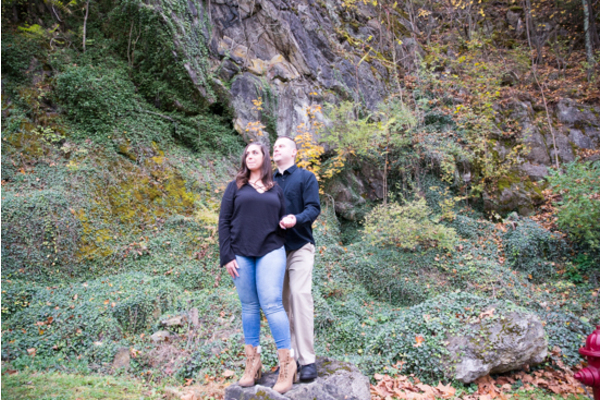 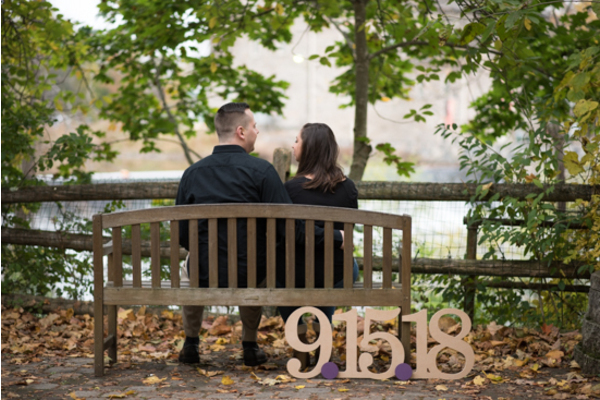 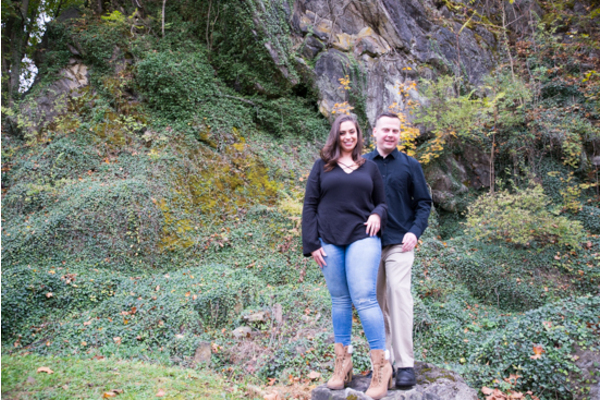 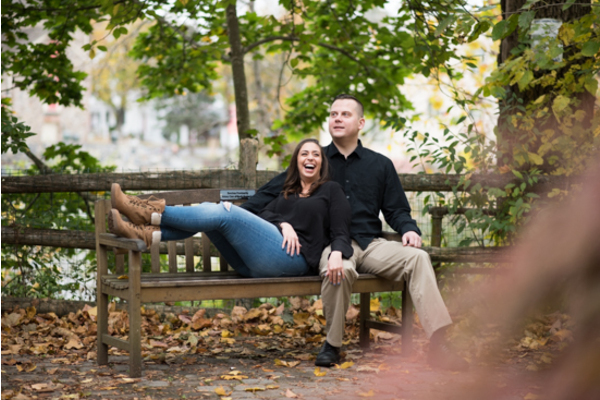 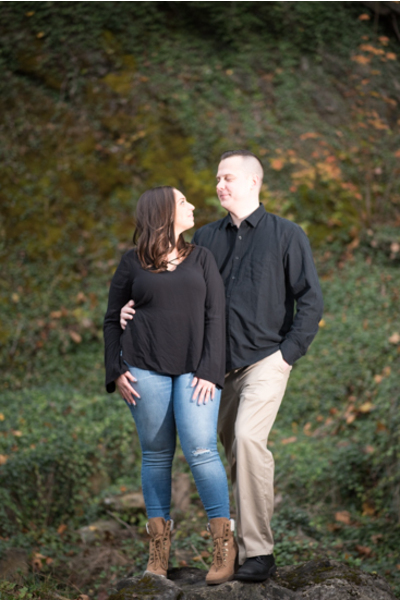 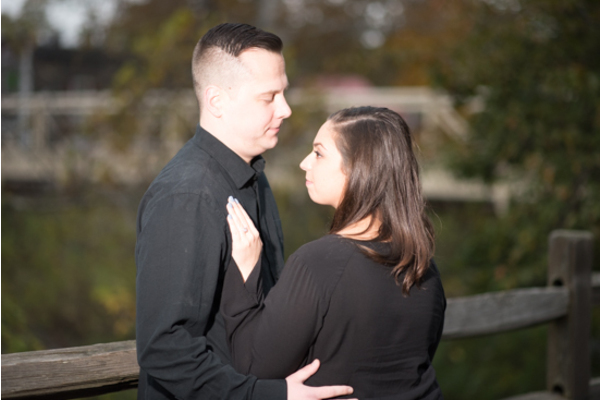 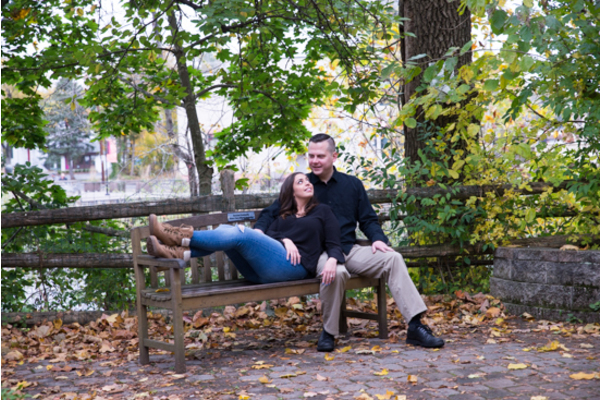 Their engagement photo shoot session was nothing short of perfection. 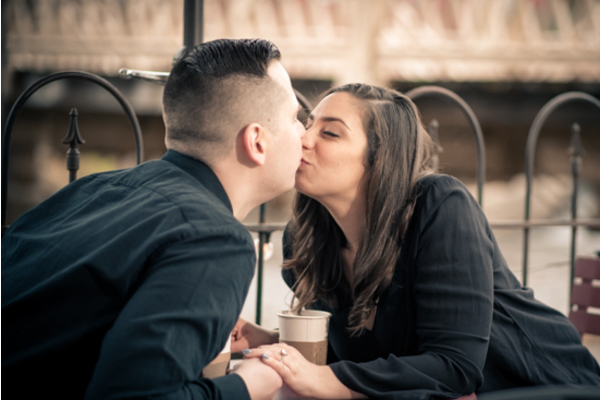 The air was cool and the love was true. 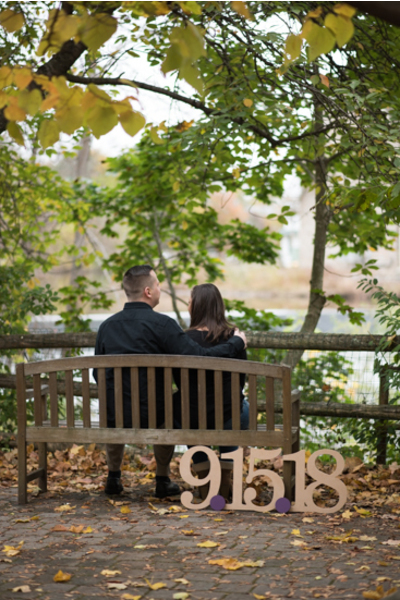 The setting was simply beautiful with trees, greenery, a lake , and a quaint bridge in the background. 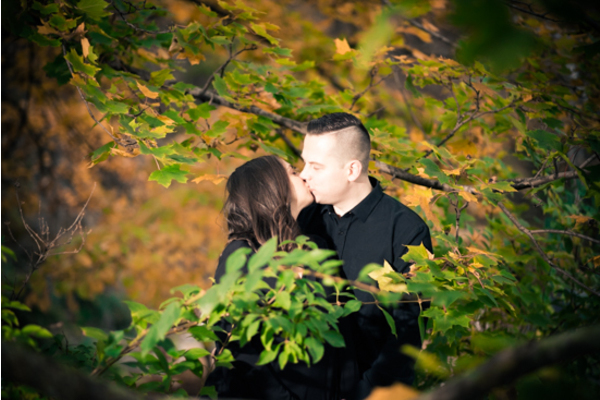 It gave the photos a natural and romantic feel. 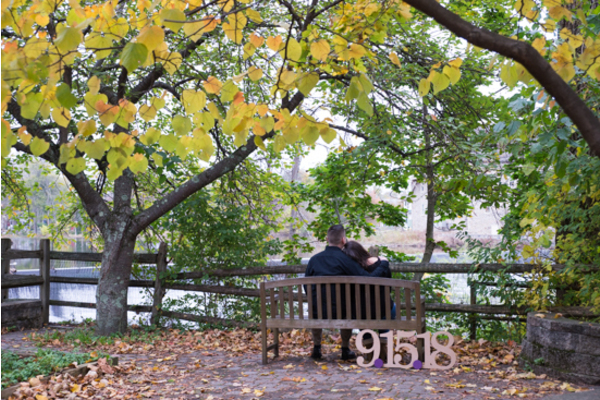 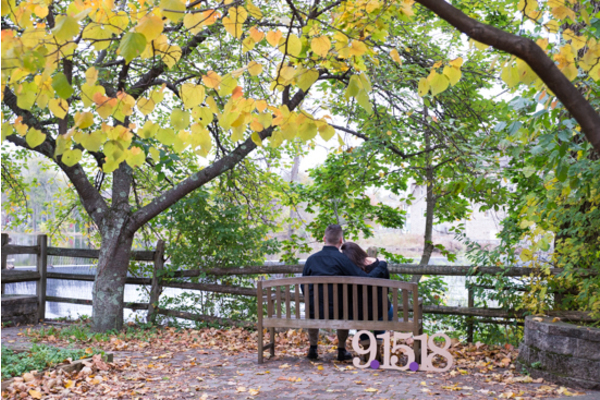 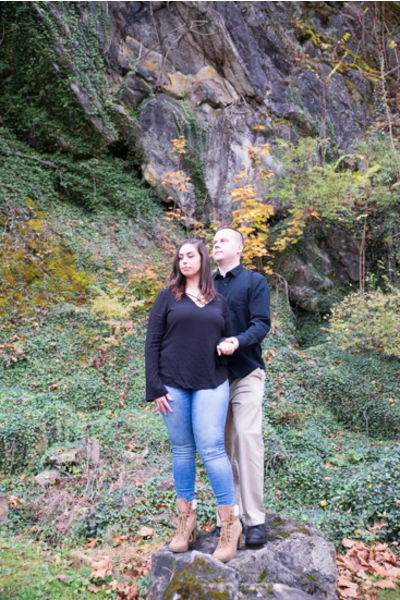 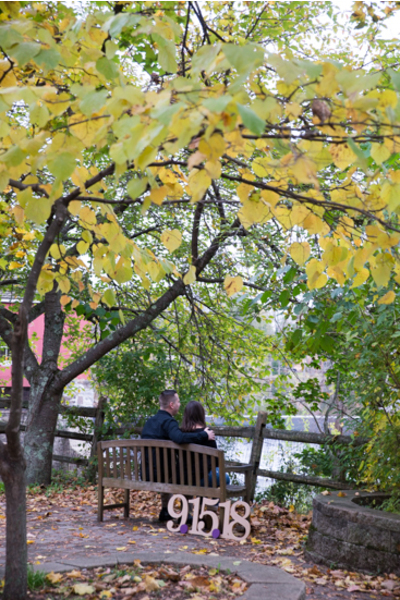 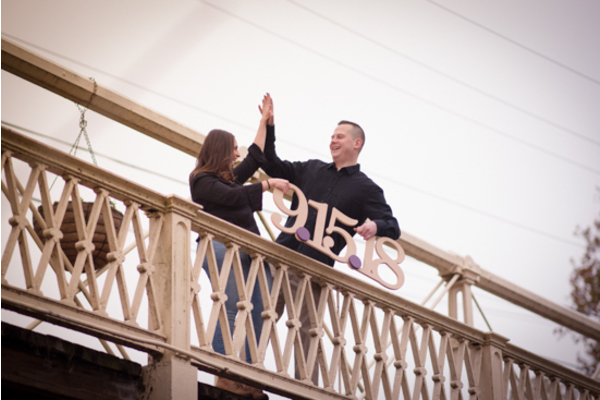 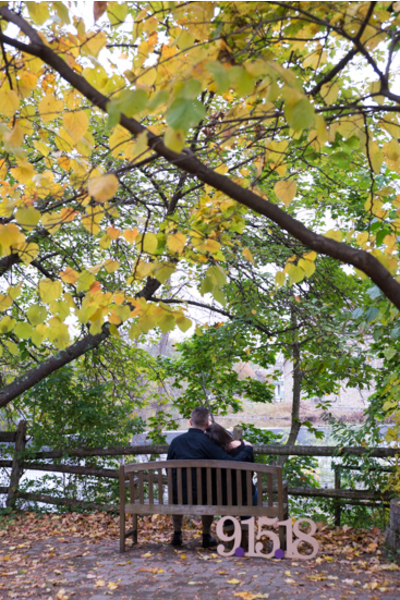 Victoria and Matt strolled along the path hand in hand reminiscing about the past and planning their future. 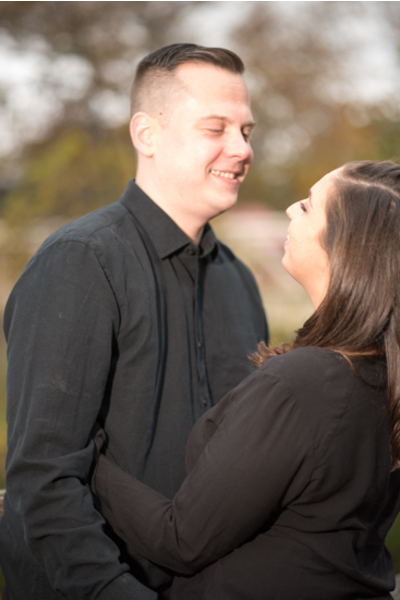 The love between these two is evident just by the way they look at each other. 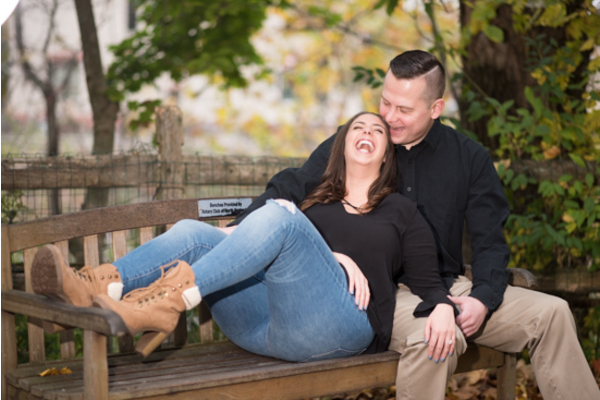 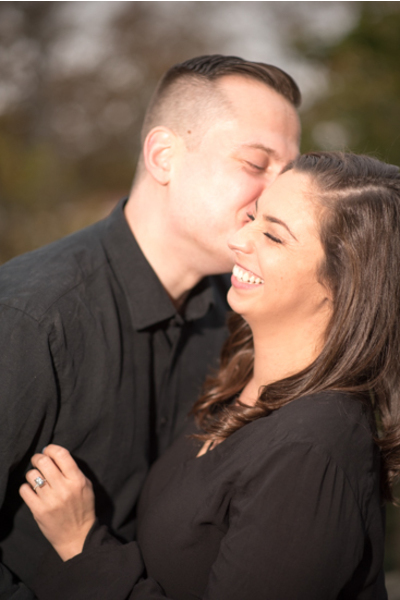 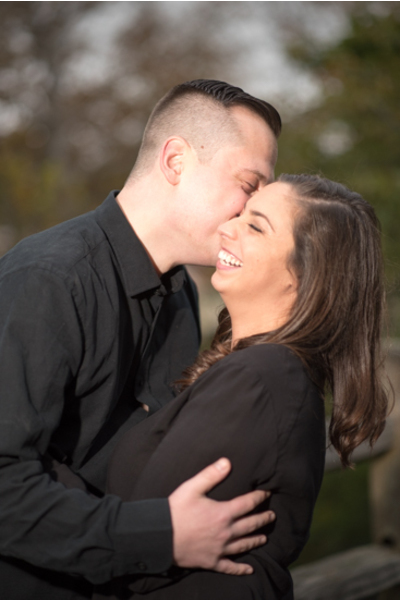 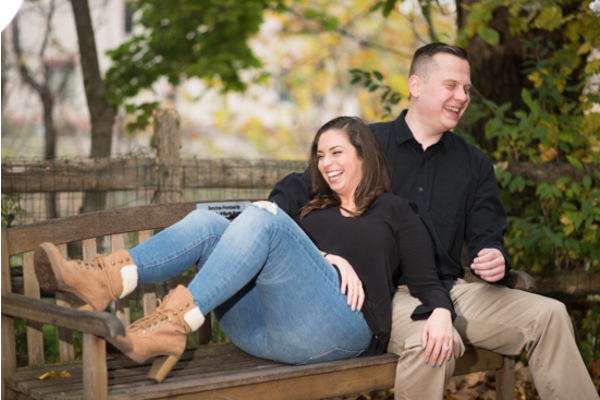 Our NJ Wedding Photographer made sure to capture every laugh, smile, and kiss! 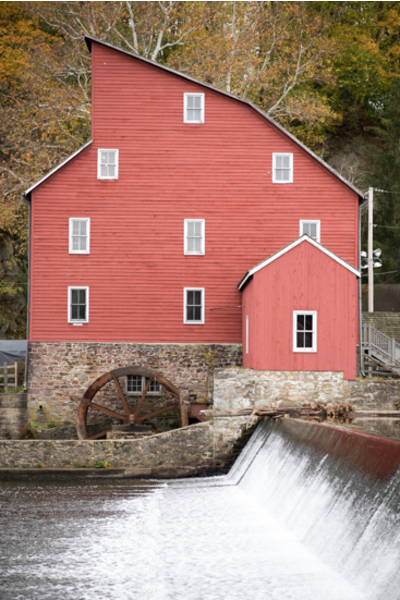 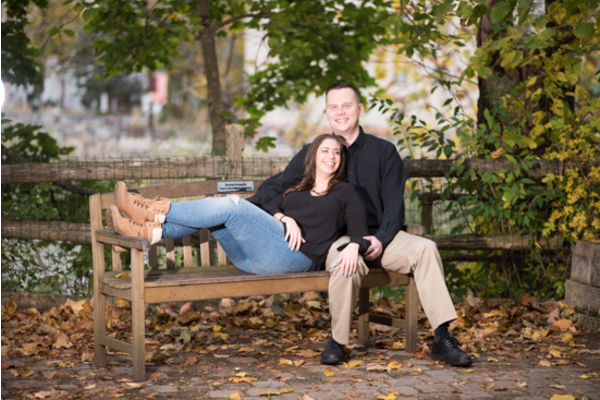 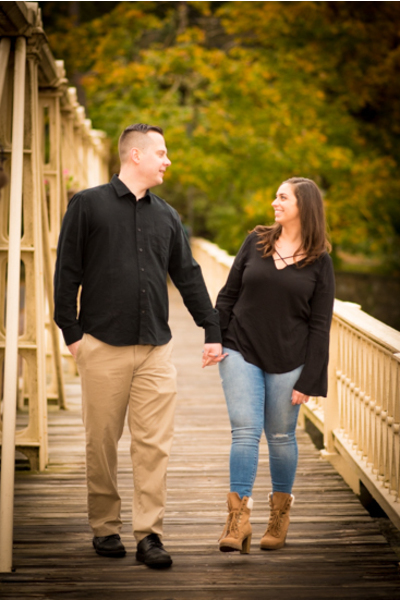 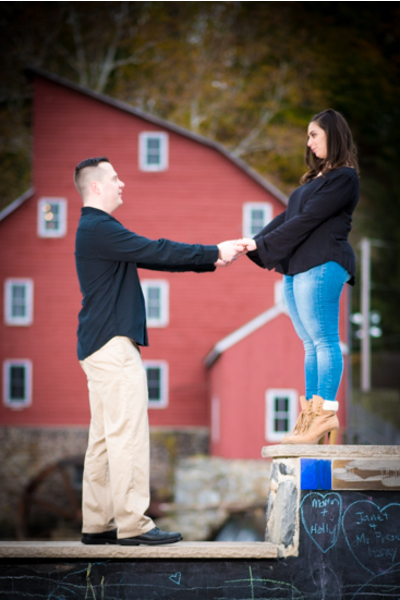 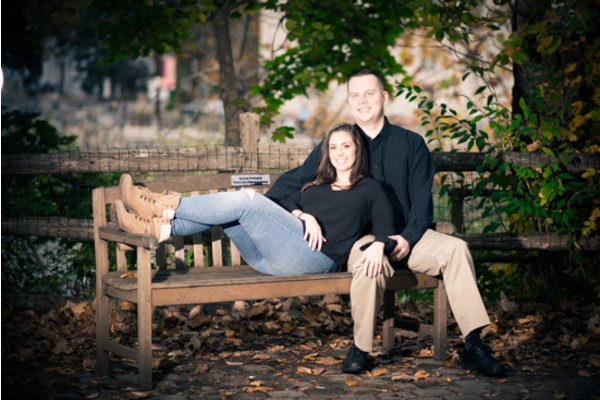 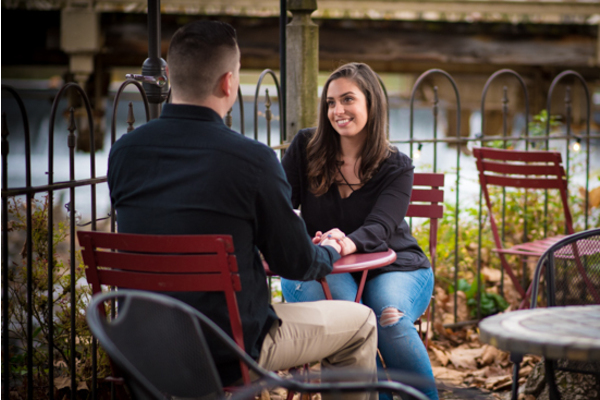 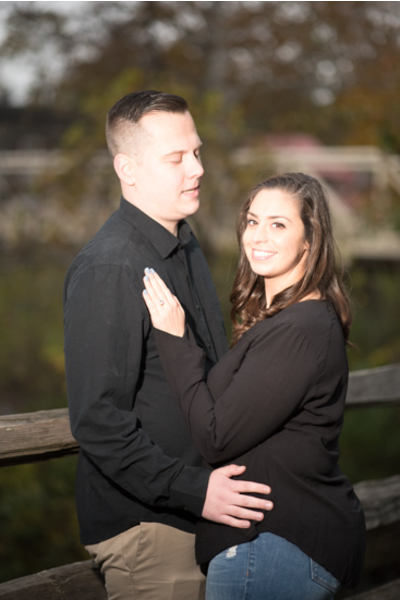 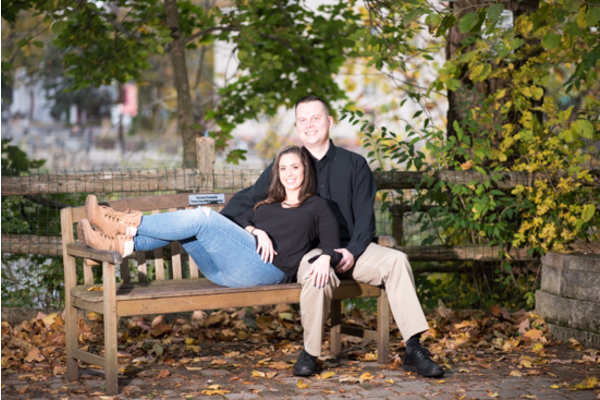 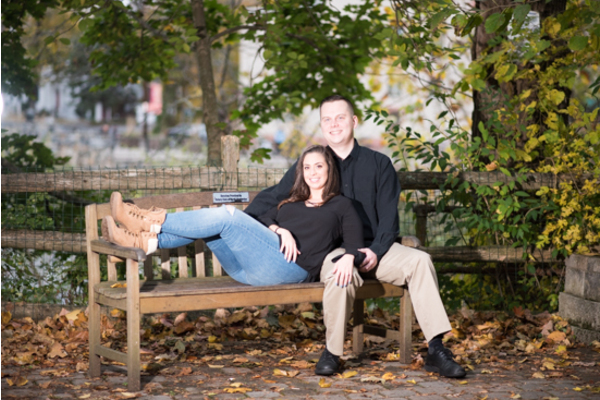 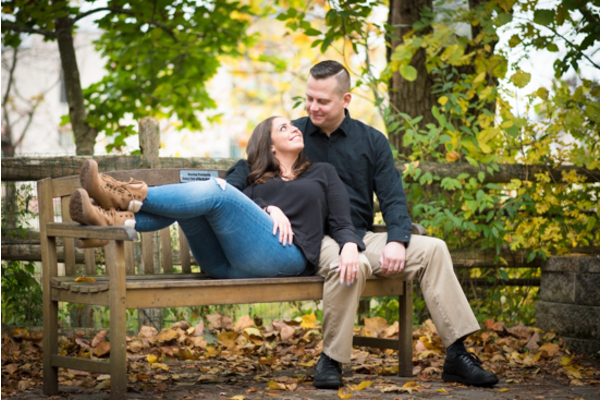 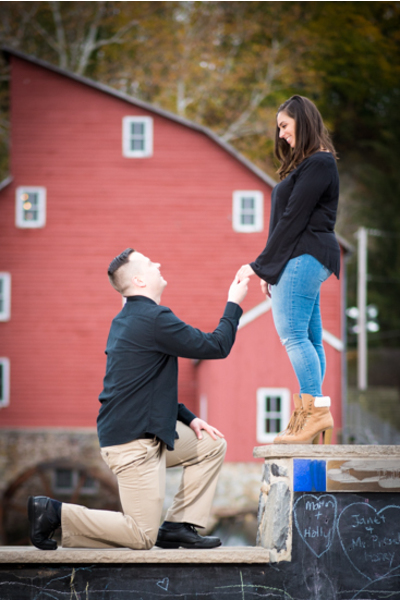 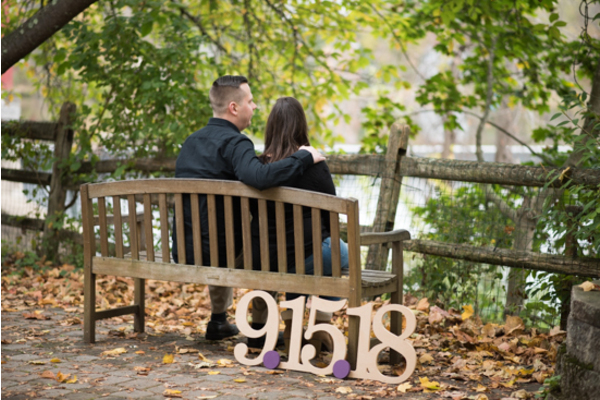 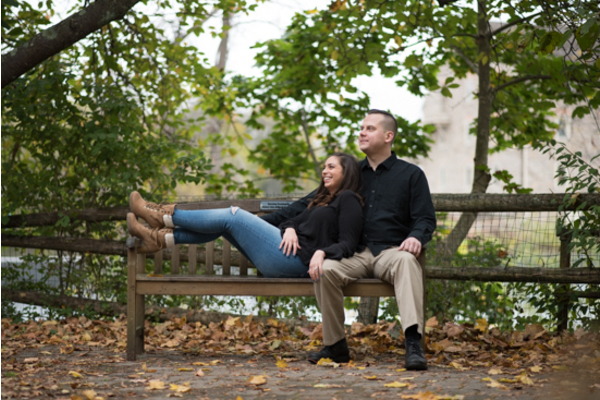 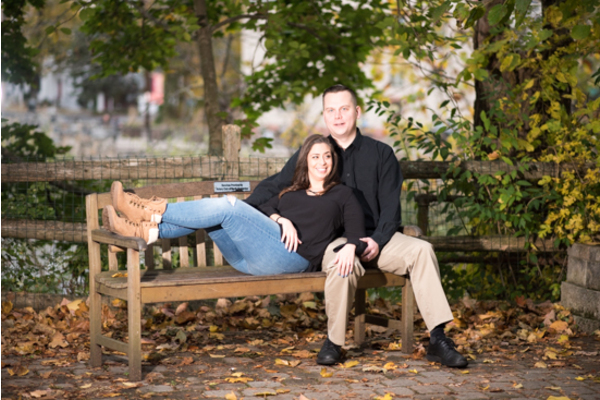 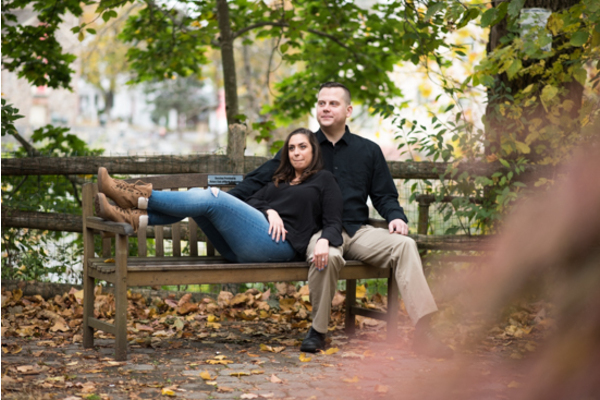 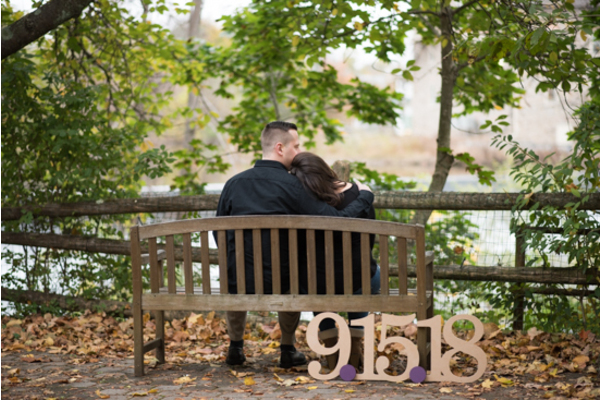 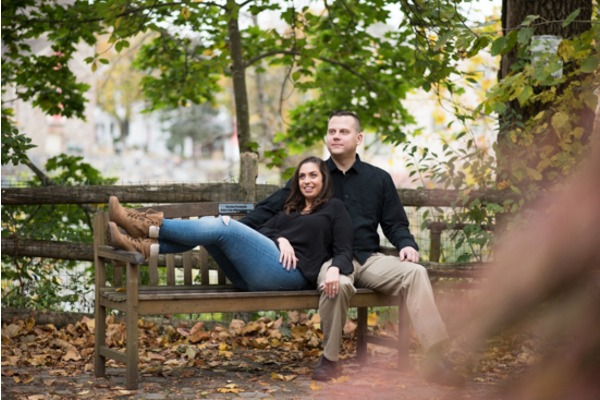 Our NJ Wedding Photographer will be at the wedding taking even more incredible photos and our NJ Wedding DJ will be sure to get the party started! 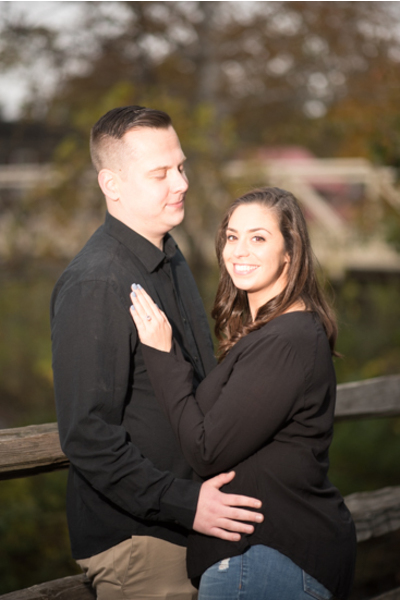 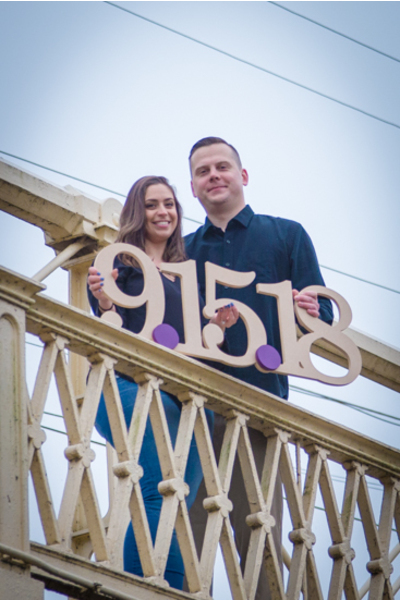 Congratulations, again to Victoria and Matt! 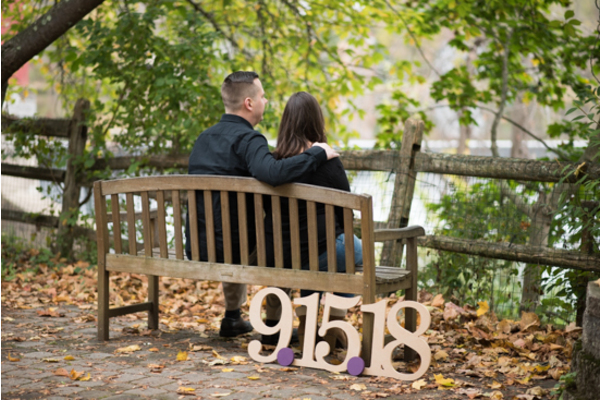 We cannot wait to be apart of your special day. 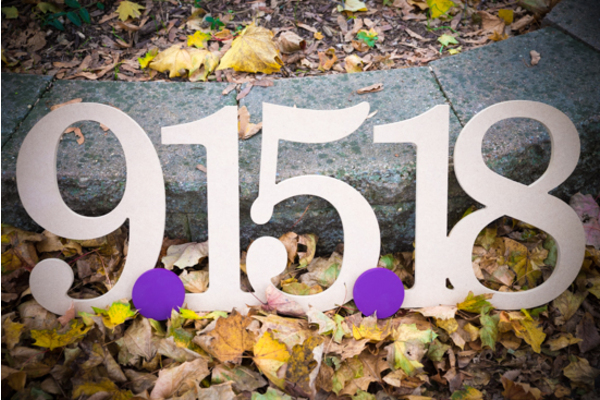 September 15, will be here before you know it!